This sweet Mother and Child figurine captures a heartfelt, relatable moment in time for mothers. Hands clasped together, a mother and her small child are enjoying each other’s company, perhaps about to share a hug or dance. 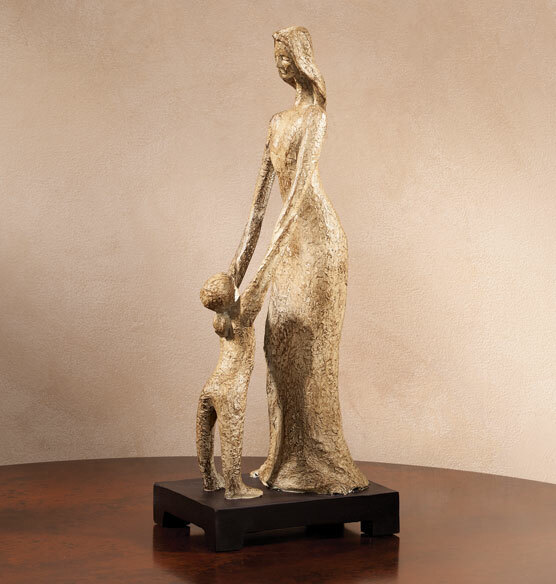 The resin statue’s bark-like texture and earthy neutral tones give the piece a timeless, antique feel. It’s the perfect unique gift for a new mother or Mother’s Day. Thought it would be a lovely gift for a grandparent or mother, but it is not for me. It is an awkward piece of art for sure.